Dave got up just after 7am and made coffee and we lazed about. Had breakfast in bed and had a slow start to our morning. Left the apartment at 9:55 and went to the station to get our tickets for Civitavecchia. Then walked to the gelateria which was closed. 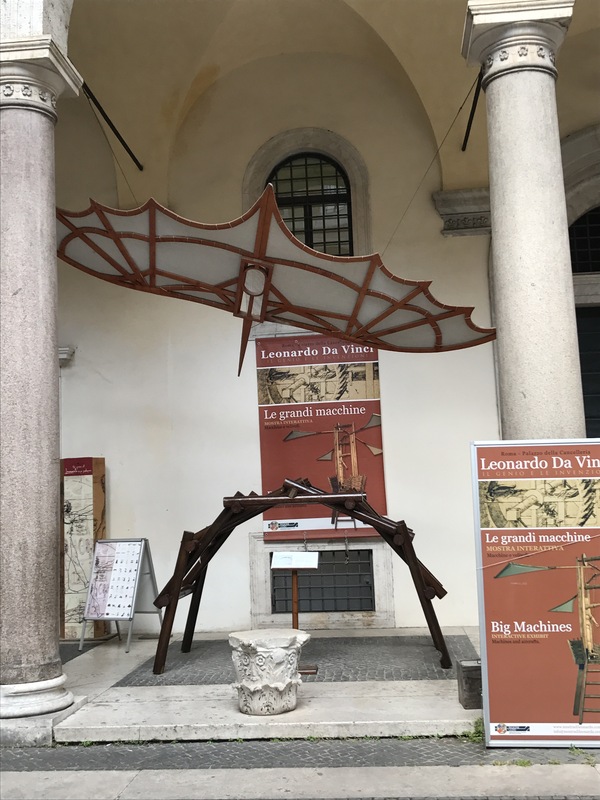 We stumbled upon Leonardo da Vinci’s Big Machines exhibit and this time we decided to go and see what it was about. The man’s mind was amazing. The display was at Palazzo Della Cancelleria and included archeological findings from 43BC. We then walked to Campo de’ Fiori and bought cheese and porchetta di ariccia at the market. Our walk took us to Sant’ Angelo and at Bocco di Damascus I had Fondente gelato and Dave had fragola. The flavours were seriously intense. 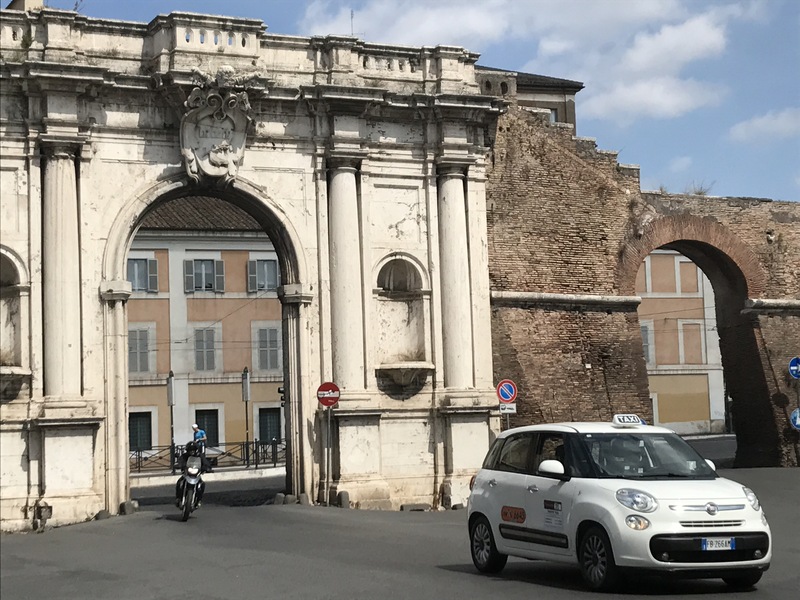 We walked to the Jewish Ghetto and saw the ruins of Portico D’Ottavia. The Synagogue is under armed guard. 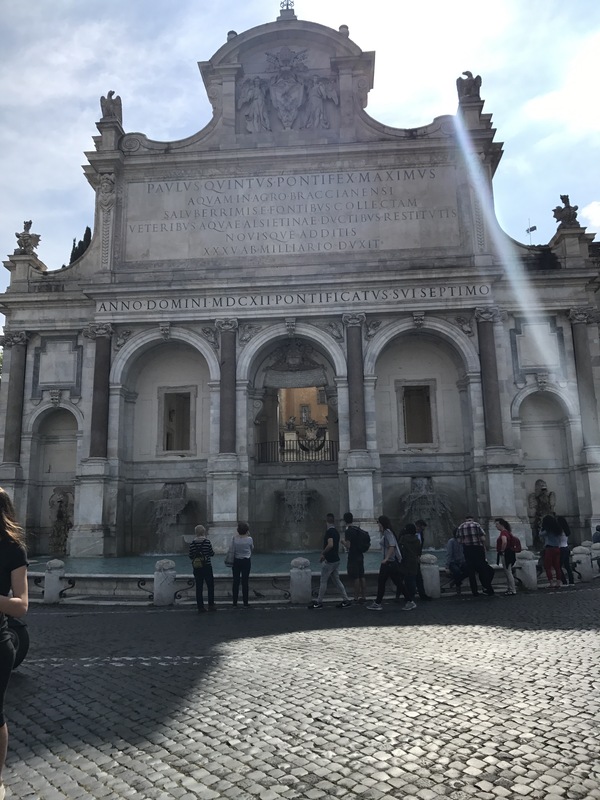 In the Piazza Gerusalemme there is a building with Hebrew writing on the building as well as a depiction of the Crucifixion. We crossed the Fiume Trastevere at Ponte Cestio and again at Ponte Sublicio. This took us to Rione Testaccio which was the port of ancient Rome. We bought a baguette at Punto Simply and ate our lunch in the memorial garden. After espressi at Linari we walked through the indoor market in Testaccio. Totally worth going to if you are cooking in Rome. It was then back over Ponte Sublicio and past Porte Portese to San Michelle and Trastevere. We stopped at Mastro Fidelio for prosecco before choosing a different route out of the area. This involved a steep climb to Fontana aqua Paola and a view of Rome. We walked down to see Il Mausoleo Ossario Gianicolense and then back up the road before heading down to the Museo della Repubblica Romana. Our walk took us past Villa Aurelia and when we turned into Via Della Fornaci the area was being guarded by the army. This took us into the residential area and we bought water at the Carrefour before stopping again for prosecco. This time at Il Piccolo. We went to the apartment, where John’s mother was waiting for us, to collect our luggage. We arrived at the station at 17:00 and decided instead of rushing to platform 5 to catch the 17:02 train we would wait on platform 1 for the 17:15 train which was meant to be a direct train. But it never arrived so we schlepped our suitcases down the stairs and back up again to get to platform 5 for the 18:02 train. We arrived in Civitavecchia at 18:59 and walked to Trattoria Sora Maria for supper. We then walked into the port and past some ruins before the free shuttle stopped for us. We asked the port staff for late check out on the ferry but they could not do it, and told us to ask the reception staff. We went through security and boarded before 21:00. The reception staff told us we had to book the late check out in the port. So much for a sleep in. After dumping our luggage in the cabin we had a walk around. We then went to sort everything out for our 5am wake up call. I wrote our daily diary while Dave watched the ferry cast off. 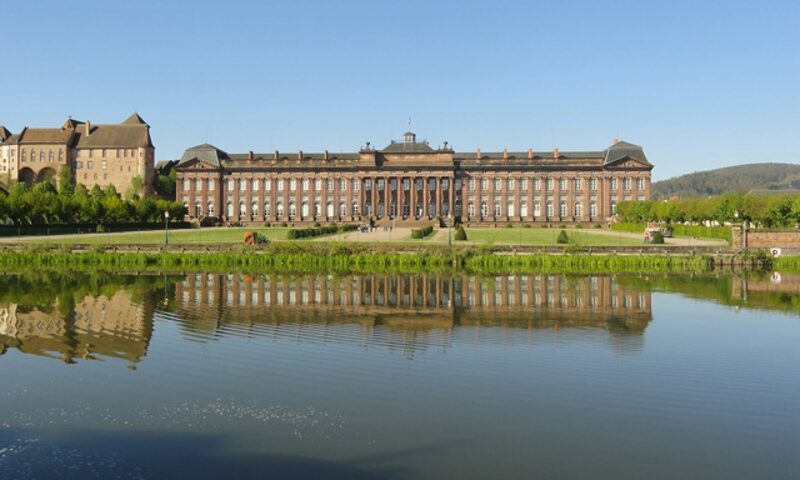 Today we walked 13.7km.